Men and women between age 14 and 17 are eligible for Junior Membership in Raintree Quilters Guild. They must be accompanied to Raintree meetings by an adult Raintree member. Adults (18 years or older) are eligible for adult membership. Come check out a Raintree Quilters Guild Meeting! (For more information on meetings click here.) You can inquire for more information by using the ﻿Contact page of this website or by attending a Raintree meeting and asking an officer. Indiana celebrated it's centennial in 2016. 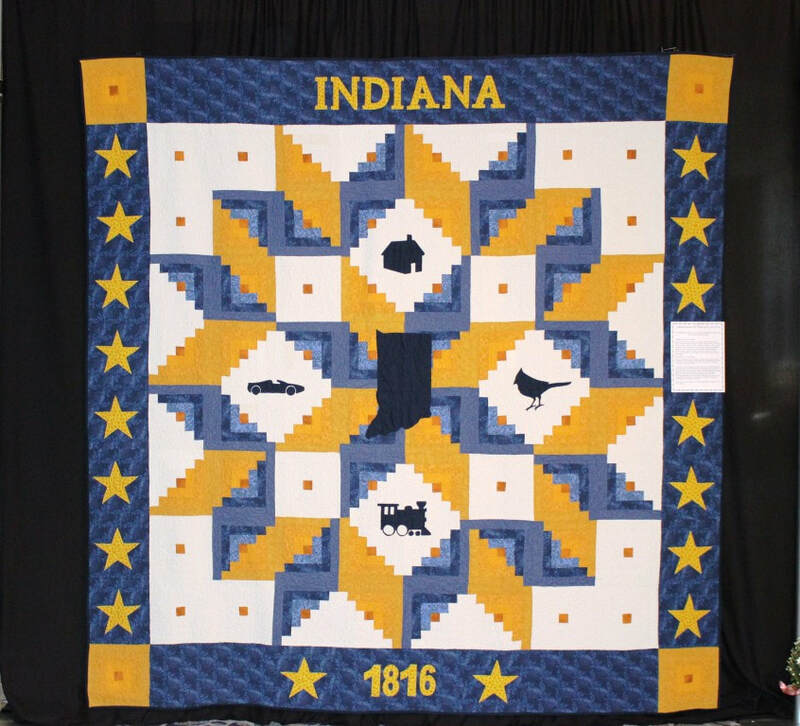 This Centennial quilt was sponsored by Evansville-Vanderburgh Public Librarys, designed by Raintree member Olivia Tenbarge. The blocks were made by community members (including Raintree members) and assembled and quilted by Raintree members.